You can take a short break from sightseeing in any coffee shop or restaurant. But wouldn’t it be more interesting to soak in some contemporary Turkish culture while you are resting? The cafe is located in the entrance of world-wide known photographer Ara Güler’s museum and atelier in Beyoğlu. Ara Güler, born in 1928, is a Turkish photojournalist known as “the Eye of Istanbul.” He became a member of Magnum Photos Agency and was accepted as the only Turkish member of the American Society of Magazine Photographers. The best part of Ara Kafe is there is a continuous exhibition of Ara Güler’s photographs on the walls. The photographs change every 4 months. P.S. It is not only a coffee shop – you can select from a wide variety of delicious food in the menu. Located in Cankurtaran, near all the Sultanahmet (old city) attractions, Taş Kafe takes you on a short trip through Turkish cinema history. 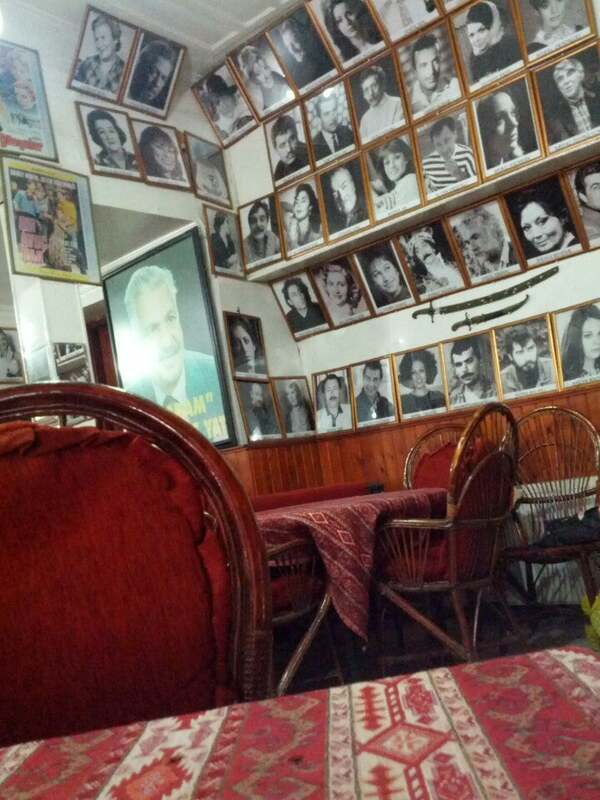 The walls are full of portraits of famous Turkish actors and actresses and posters of unforgettable films. Erol Taş (1928-1998), the original owner, was a Turkish actor best known for playing the “bad guy” with 220 films on his resume. It is quite hard to understand how a place with a train station view can make you feel so relaxed but maybe it is because it feels so homey… Turkish tea and “salep” are highly recommended; especially in winter when you can sit near the stove in the center of the cafe.